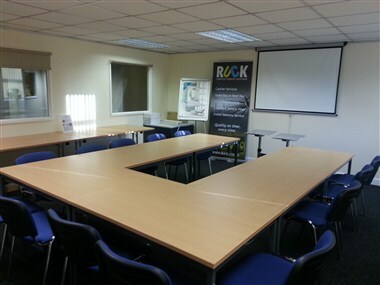 Rucks to Eat Meeting Rooms in Winsford offers meeting rooms at exceptional value located within the UK's first Green Business Park. Winsford Industrial Estate is located in the heart of Cheshire, and borders idyllic countryside whilst offering excellent transport links, with the M6 motorway and major A-roads linking the estate with Greater Manchester, Merseyside, Chester and North Wales. Meeting rooms offer free parking facilities, tables & chairs arranged as requested, free WIFI, toilet facilities and rooms are FREE with a £60 buffet spend. No lift access. No Lift access to meeting room. Meeting Room Rates Large Training Room Half day hire £30 +VAT Full day hire £60 +VAT Free with £60 Buffett spend. Seats 30 with tables & 40 just seated. Projector screen in the room no projector. Small interview office Half day hire £30 +VAT Full day hire £50 +VAT Seats 5 with Desk. Free with £60 Buffett spend. Order buffet food & drinks valued over £60 from Rucks to Eat and you receive free room hire* Call now on 01606 550961 to reserve.